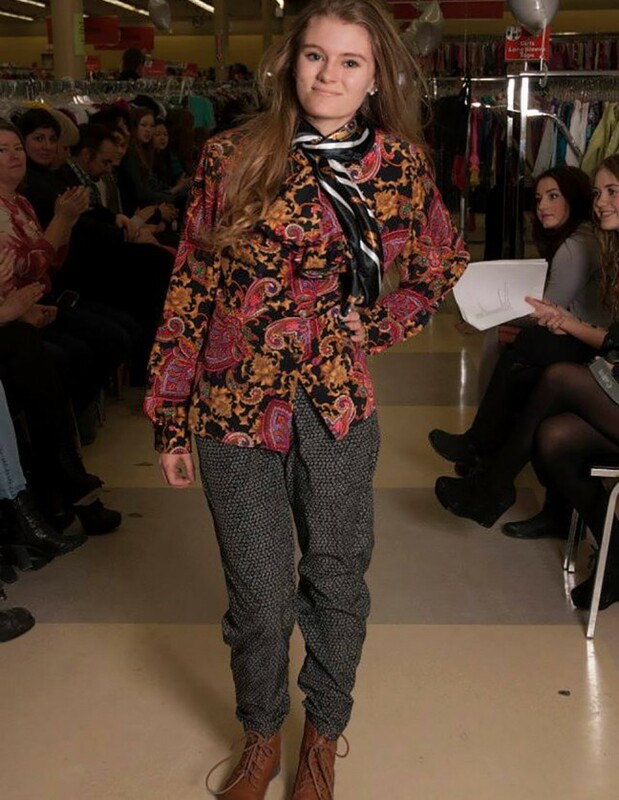 Eco-Runway Show at Value Village! 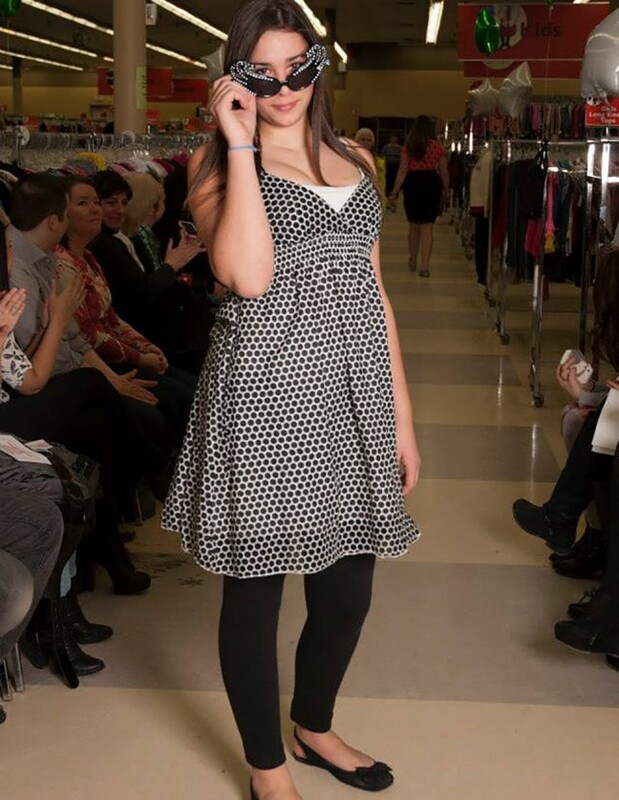 It has been just a few short months since the Claire Closet, founded by Holy Cross high school teacher Claire Bouvier, began hosting fashion workshops for girls in Grades 9 and 10. 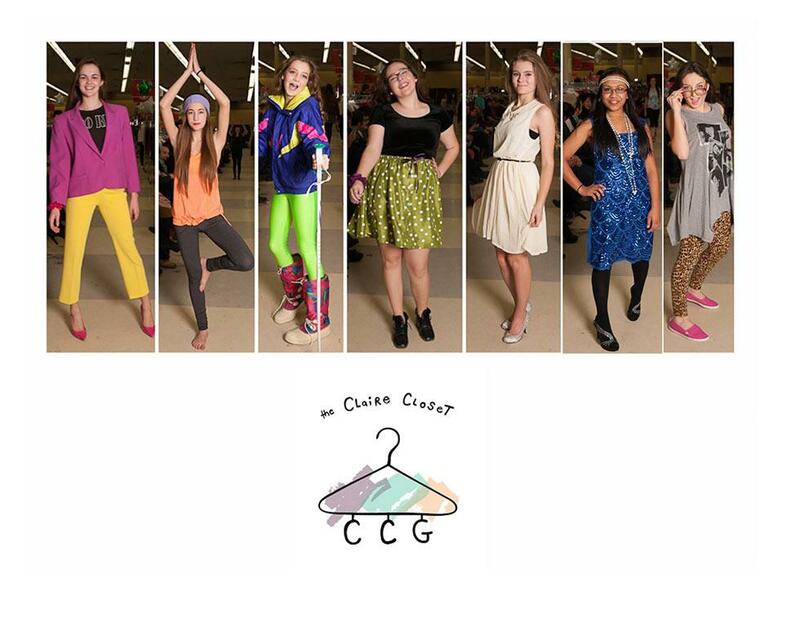 On March 2nd, the CC girls betrayed a hidden confidence as they strutted down the runway at Value Village for their Spring Runway Show. Amongst the aisles of the second-hand mega-store, Claire is immediately visible with her long, blonde hair curled and pulled back – hipster-style – with a girlish bow. Bright pink lipstick tops off a thrifted ensemble. The themes of the runs reflect the values of the Closet: BeYouTiful, Yoga & Healthy Living, Throwback – a retro-styled run full of polk-a-dots paired to a fun and lively beat. All of the girls have put together the outfits themselves. High School is not exactly as many of us remember: Sure, there are the same insecurities, but without having to battle them post-school on Facebook. Bullies and meanies will always exist, but enter the un-policed realms of Twitter and SnapChat. In this image-driven culture that praises superficialities more than character, it’s easy to become a little obsessed – and stressed – about the way we look. 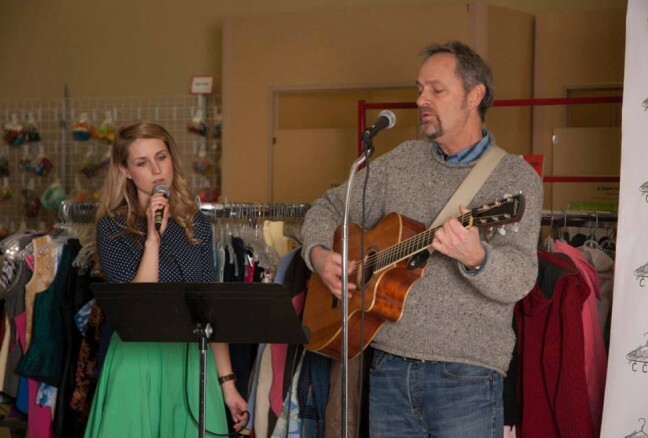 Emily Binkley is a print princess in paisley. Photo credit: Camille Prior. 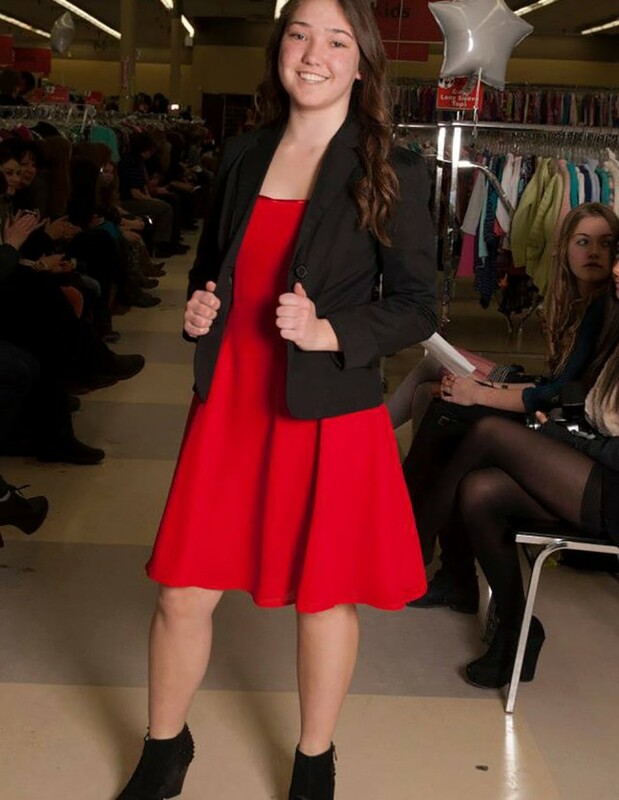 Grace Ottenhof contrasts a red dress with a black blazer and pairs the outfit with a pair of suede black wedges. Photo credit: Camille Prior. Sam in retro-glam. Photo credit: Camille Prior. Kaliah Barker’s casual ensemble is hit, not to mention her charming smile. Photo credit: Camille Prior. Creating a space for girls to be silly without fear of judgment is a much needed remedy for the seriousness of the image culture. Claire’s dress-up box full of ridiculous outfits – yellow and black striped dresses, a retro-patterned suit, and billowing ponchos – make a joke of anyone trying to look nice. “Everyone’s different and the workshops are where I learned to embrace that,” relates Kate Cotman, a fellow Holy Cross student. 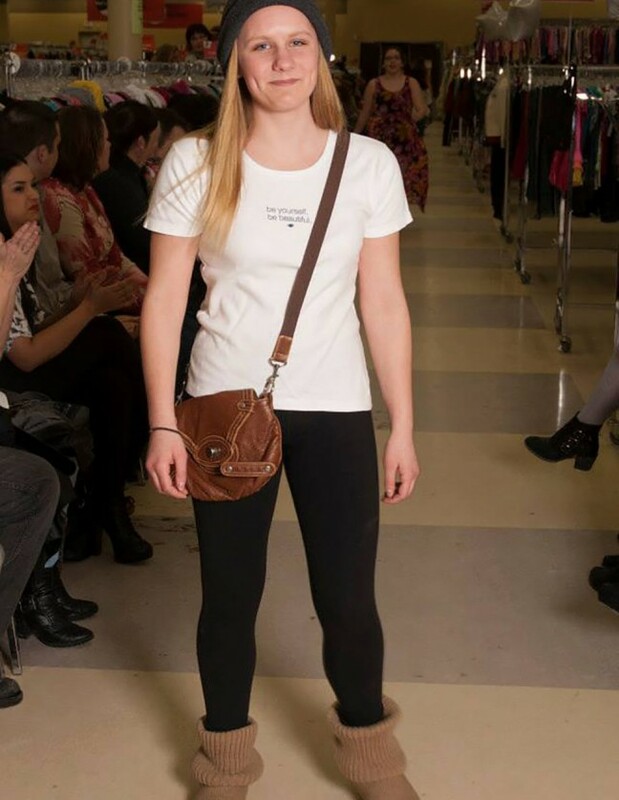 One girl hesitates a smile as she makes her way down the aisle in DIY apparel. While an image is edited and chosen, in reality we are unedited and imperfect. If we can find that people still accept us in the “real” world – just as we are – there is little more we need to move forward confidently as ourselves. 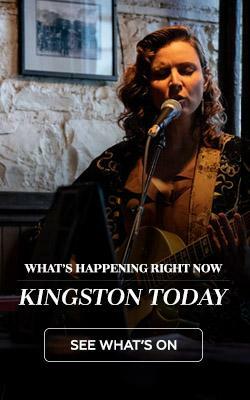 Thanks to Claire for inviting musicians Alex Mundy and band for a pleasant half-time break, and for coming up with the idea of a silent auction: local eco-artist, Jocelyn Van Wynsberghe, who had some eye-catching colourful paintings sold on recycled canvas! Alex Mundy and band serenade at half-time. Photo credit: Camille Prior.